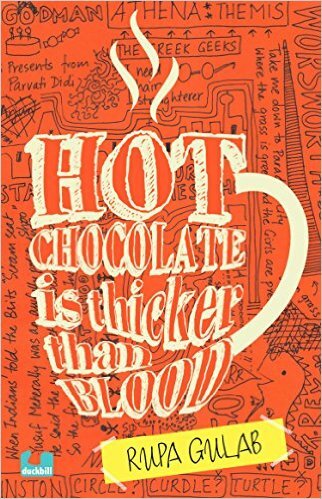 After reading Hot Chocolate Is Thicker Than Blood by Roopa Gulab, I am left to wonder why. Did no one write these books before? Why not? Seems like a wide open category. May be, I just did not know about them. What's more, this one has an Indian teenager's perspective. Anyway I was sent this book by Duckbill to review for plusminusnmore and I really enjoyed it. For a detailed review of the book click here. As many of you may know, for some time now, I have been reviewing books for PlusMinus'n'More, a review site for books by Indian authors or in an Indian setting. If your looking for books by Indian authors, check it out. I was thrilled to see that they had reviewed a few of my books too.